Although we are lucky enough to have moderate temperatures year-round, SLO town has been heatin’ up! Having experienced a handful of heat waves this summer we have become familiar with a few of the best places around town to cool off. From fresh sorbet and premium gelato, to old-fashioned ice cream sandwiches and sub-zero scoops, San Luis Obispo offers a variety of chilled desserts you’ll crave every season. Open daily: 11 a.m.-10 p.m.
Doc Burnstein’s is a cheery, kid-friendly destination that dishes out classic and creative flavors to tourists and locals in Downtown SLO. The moment you step foot into this mad scientist-themed parlor you experience joy and delight – and that’s before you get a taste of their legendary ice cream. Doc Burnstein’s isn’t just a “taste good” place, they’re a “do good” company as well; donating money from sales of select flavors to the Make-A-Wish Foundation, hosting “Scholarship Days” to support their hard-working college-bound employees, and donating 10% of profits to local public schools, non-profits, and blood drives. 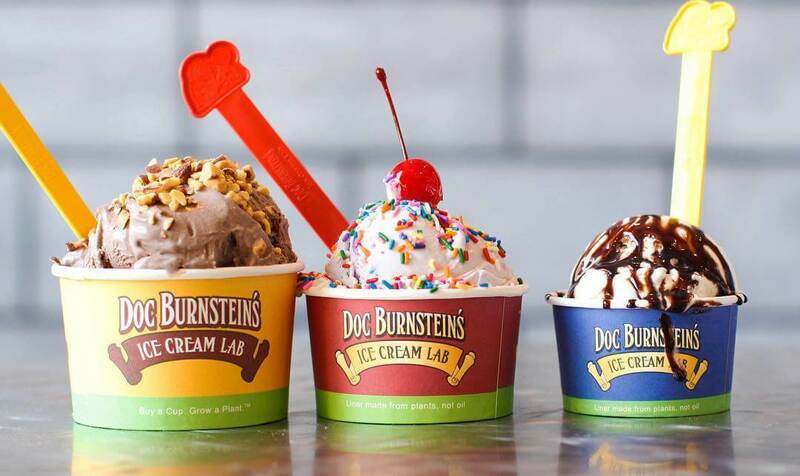 If you thought eating ice cream made you feel good, we think eating Doc Burnstein’s will make you feel even better. Open daily: 12 p.m.-11 p.m.
Say goodbye to the traditional scoop, this trendy spot serves ice cream in rolls. If you’re looking for a treat and a show, this is the place to go! 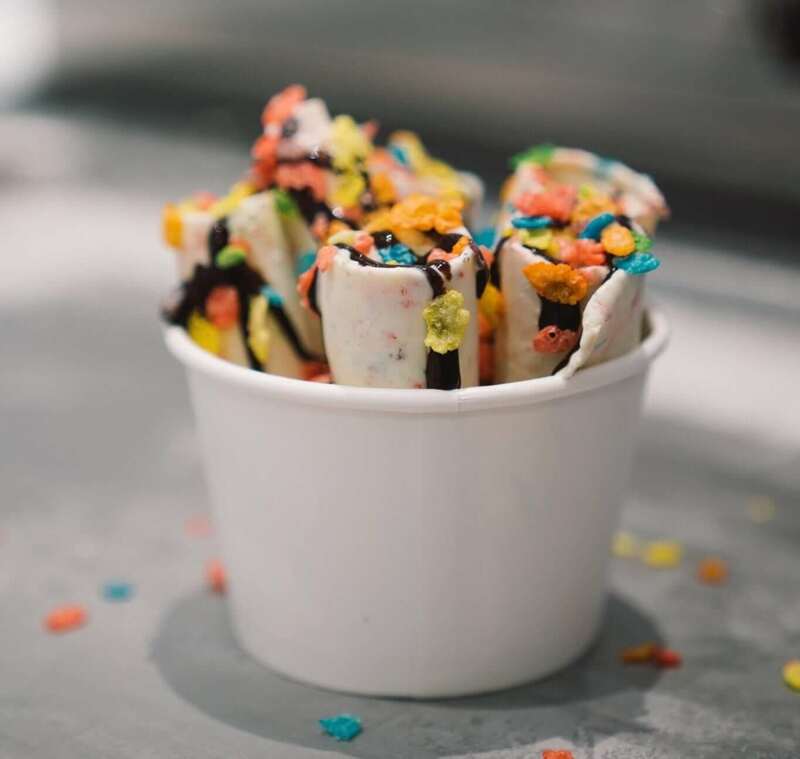 Rolld is new to town, but has quickly made a name for itself, serving ice cream in a strange yet satisfying form: spread thin and curled into rolls, a style that originated from Thailand. Pick from the menu or create your own mix and watch the employees elegantly concoct the liquid base and toppings into a mouth-watering masterpiece. Rolld offers organic and vegan flavors, and will even roast your marshmallows with a fire torch, creating an exciting experience and Insta-worthy dessert. Open daily: 3 p.m.-10:30 p.m. Although the name may make you think otherwise, this place is not just open at night and actually refers to the way they make their ice cream: with nitrogen. No freezers, no problem! Liquid nitrogen can create smoother, creamier, and (in many people’s opinion) better ice cream than your classic scoop. 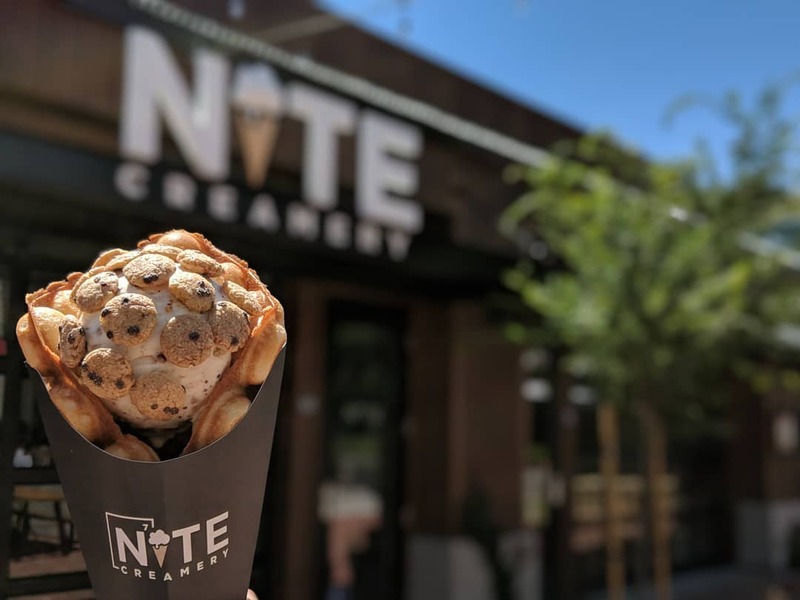 Open at 3 p.m., just in time for you to cool off from the afternoon heat, Nite Creamery uses liquid nitrogen to freeze all their natural, premium ingredients instantly. Don’t be alarmed when you see a cloud coming from their mixers, that’s just the magic happening! If the enticing vaporized nitrogen clouds don’t draw you in, the scent of their “puffs” will surely do the trick! These bad boys are not your traditional waffle cone, but an indulgent, fluffy waffle to compliment your freshly chilled treat. Although this country store is known for its freshly baked, creatively named cookies, this store dishes out some delicious ice cream sandwiches. Craving one of their “Critters” (a peanut butter cookie) or a “Wrangler” (an oatmeal coconut rice krispy)? You can have both, with a cool scoop of ice cream smack dab in the middle! Cowboy Cookie N’ Grub uses only the freshest all-natural ingredients, enticing cookie enthusiasts and gaining loyal regulars to their rustic, local shop daily. 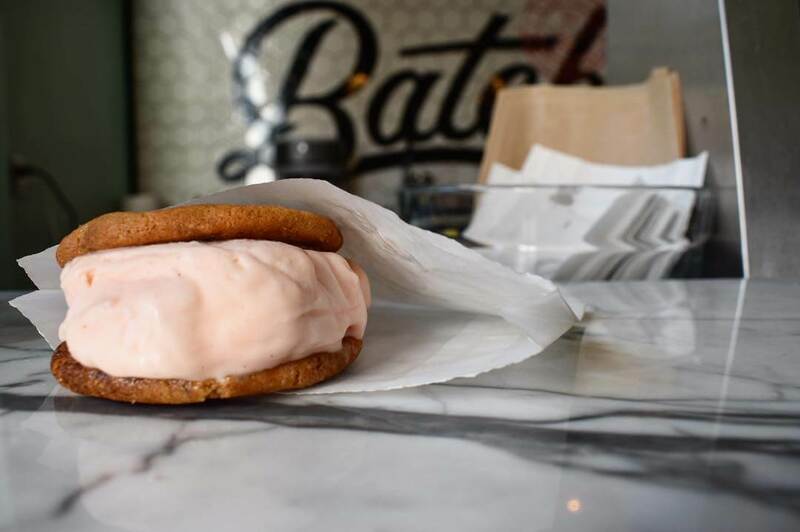 This downtown hole in the wall specializes in customized old-fashioned ice cream sandwiches, allowing customers to pick their perfect combo. From Snickerdoodle cookies to Oreo ice cream, the delicious options make creating your treat the toughest decision of the day! And for those who are gluten-free and/or dairy-free, they have some satisfying goodies for you too! Head into Batch for a picture perfect sando or even leave with a simple scoop and a side of fresh baked cookies to-go! Hidden in Downtown SLO lies a sweet tooth’s paradise, an old-fashioned candy shop offering a selection of classics, hard-to-find favorites, and most importantly gelato. SLO Sweets serves some high quality, note-worthy flavors that will make you feel like a kid in a candy shop. Step inside for an instant ambiance and smell of Italy. This Italian restaurant’s pasta isn’t the only thing that will keep you coming back; have you tried their gelato? Made with authentic ingredients and classic Italian flavors, Giuseppe’s gelato will sure steal your heart and be your new guilty pleasure. A tasty stop offering premium chocolate, caramel apples, and of course ICE CREAM. You can’t say “no” to a Rocky Mountain’s double-scoop in a chocolate dipped waffle cone. Indulge and cool down now, climb a mountain later! 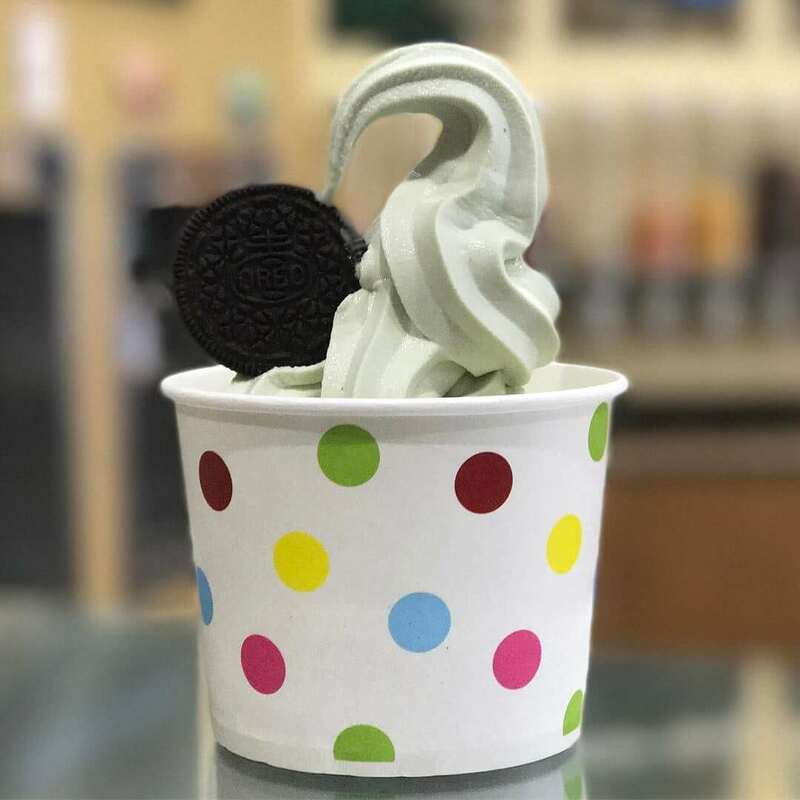 Away from the bustle, on the south end of town lies Snofari Frozen Yogurt, where fro-yo addicts can fill up on a variety of flavors and of course, toppings. From Ghirardelli chocolate sauce and cookie dough bites, to fresh fruit and nuts, this locally-owned joint has it all to top your frozen treat. Not only do they serve frozen yogurt, but you can also lay your hands (and taste buds) on some refreshing Italian ice. Open daily: 11 a.m.-11 p.m.
A fro-yo lovers paradise! Yogurtland is the perfect place to treat yourself and not feel bad doing it. Grab a cup and have a taste of every flavor they offer, but don’t forget to pile on the toppings before you purchase! Cool off creekside at Bliss Café with some vegan soft serve. 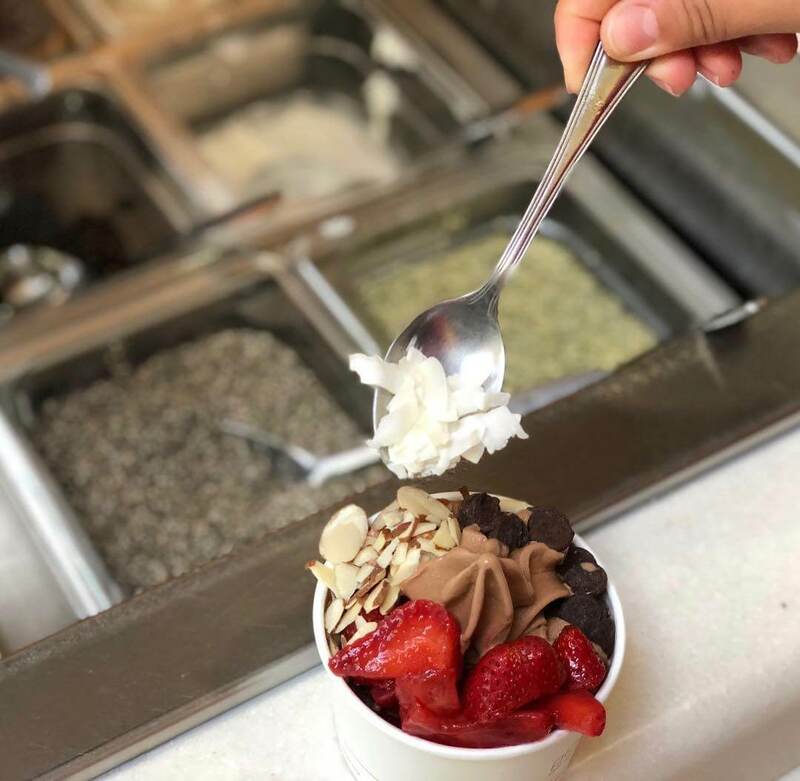 This down-to-earth eatery recently started serving their own in-house, plant-based frozen desert made with homemade almond milk and other nutritious ingredients and has been a hit since the launch! Stop in for new wholesome flavors weekly. I scream, you scream, we all scream for ice cream on a hot summer’s day! Although the days may be longer, life is too short to not treat yourself! Whether it is with a dairy-free sorbet or a triple scoop of Java Chip, San Luis Obispo offers all sorts of sweets for the cool down you crave.